In Viridi, there are no attackers and no countdown clock. Instead, in a game that seems diametrically opposed to the anxiety inherent in most video games, the point is to tend to pretty desert plants. Viridi’s premise is simple: Help your succulents thrive. You pick from a handful of starter plants, choose a pot, and click around to water your seedlings, taking care to make sure each plant is properly sated. A snail slowly circles the top edge of the pot. Your plants grow, albeit slowly. The unobtrusive, gentle music wouldn’t be out of place in a massage parlor or yoga studio. At first, it can be hard to resist the urge to click willy-nilly, waiting for something new to happen. 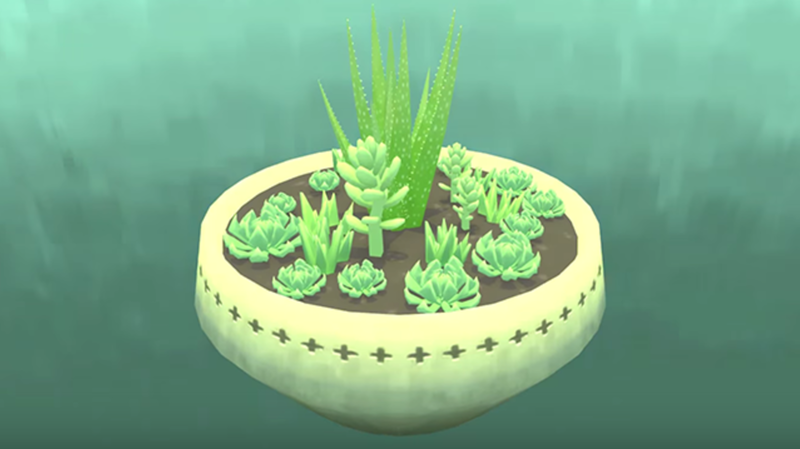 But like real plants, the succulents can be overwatered, and clicking on the wrong place can delete your fledgling shoots. It’s an exercise in patience, more soothing than stimulating. The experience is meditative. You can run the game in the background throughout the day, listening to the subdued soundtrack and periodically checking in on your baby Aloes and Pachyphytums. This is not the sort of video game you play for a few minutes at your desk, rack up points, and go back to work. It’s an unusually calming digital experience. Now you can take a meditation break even if you can’t leave your desk. The game is free for desktop users (you have to download Steam first). If so inclined, you can purchase a greater variety of seeds to plant for a few cents each. Mobile versions for iOS and Android are scheduled to roll out sometime in the next year.